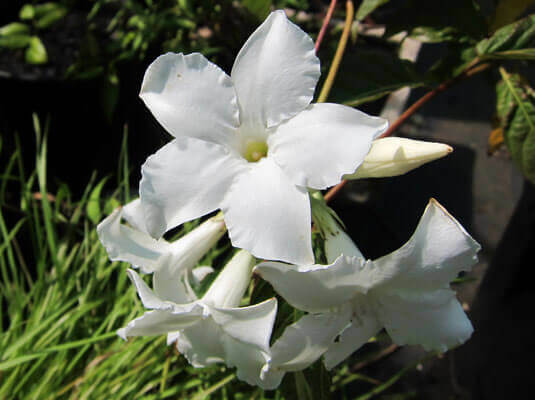 This climber has white a funnel shaped flowers which are highly perfumed. It flowers in Summer through to Autumn. Best position is full sun to part shade. Winter dormant, therefore frost hardy.